DEL MAR — Thanks to the efforts of the Del Mar Garden Club and Friends of the Powerhouse, one of the few remaining street ends without landscaping will soon be improved. 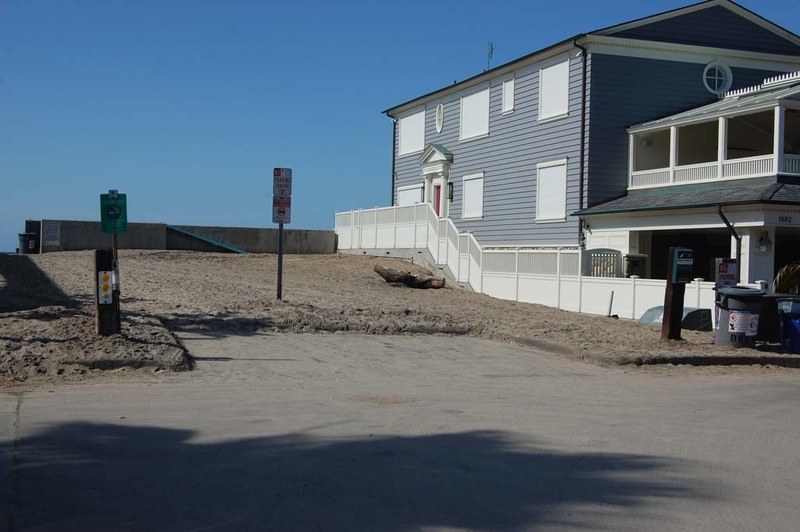 Council gave a thumbs up at the Feb. 3 meeting for a project that will add a walkway, possible third parking space, seating area and low-lying, drought-tolerant native plants to the beach access area at the end of 18th Street. Resident Howard Gad said Friends of the Powerhouse will fund the enhancements. The Del Mar Garden Club was consulted to select plants. Gad, whose wife is a Garden Club member, participated in the improvement project at the end of 19th Street more than a decade ago. He said preliminary plans for 18th Street mimic those enhancements. There are currently two parking spaces for loading and unloading. Gad said some neighbors have indicated a third space might reduce the backup in the street end, so one is being considered. There are also plans to secure the city outrigger that is kept in the area. Mary Friestedt, Garden Club president, said three types of plants will be used. None would block views. They are quail or salt bush, which grows about 3 to 5 feet tall, silver prince canyon rye grass, which tops out at 18 inches and is silver-blue, and California buckwheat, which grows on the Santa Rosa Islands and tolerates salt well. Once established, none of the planting would require watering, Friestedt said. Gad said in other similar projects, neighbors provided the initial watering needs. He said not all neighbors have been contacted, but so far there hasn’t been any opposition. Council members said they support the project. “I think it’s an outstanding project to work on,” Councilman Terry Sinnott said. “It’s the typical kind of Del Mar way, where we get different groups together and identify a need and people volunteer to put in their time and efforts to do it. City Manager Scott Huth said the enhancements would also help the city financially.